Make sure your customers pay you. 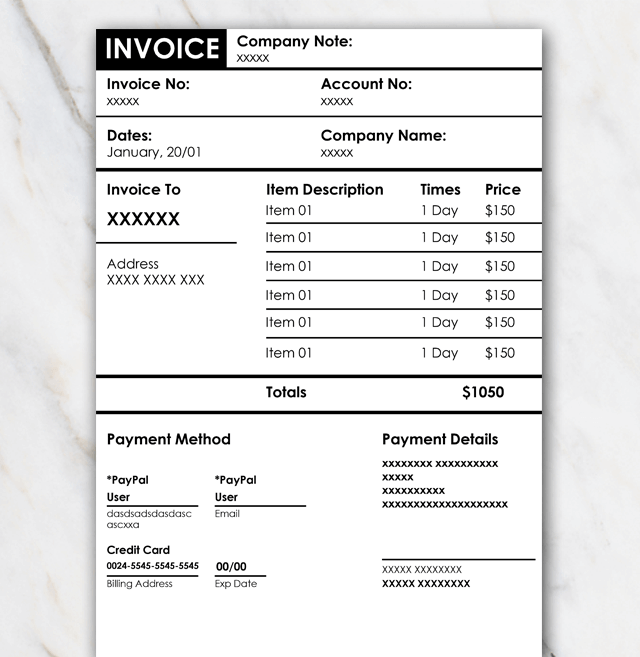 Download the invoice template in Word for free via the 'Free download' button above. The file clearly states invoice, so your customers know exactly what they have in their inbox after receiving it from you. Curious what the other invoice templates look like, have a look at the overview page with all other invoice templates for Word.